The streets of Atlanta, GA are home to countless stray animals. There are dogs scrounging for food in dumpsters, feral cats struggling to survive, and former pets newly abandoned and afraid. At the same time, there’s a different kind of problem lurking in the shadows. Local gangs take over neighborhoods, and they’re always looking to recruit. Kids are pressured to take sides, teens are forced to join in, and innocent youth are beaten when they try to resist. Disabled veteran Grace Hamlin recognized the problems plaguing her city, and she set out to make a change. She started an organization called W-Underdogs to rescue stray animals, help local kids, and lift up her entire community. 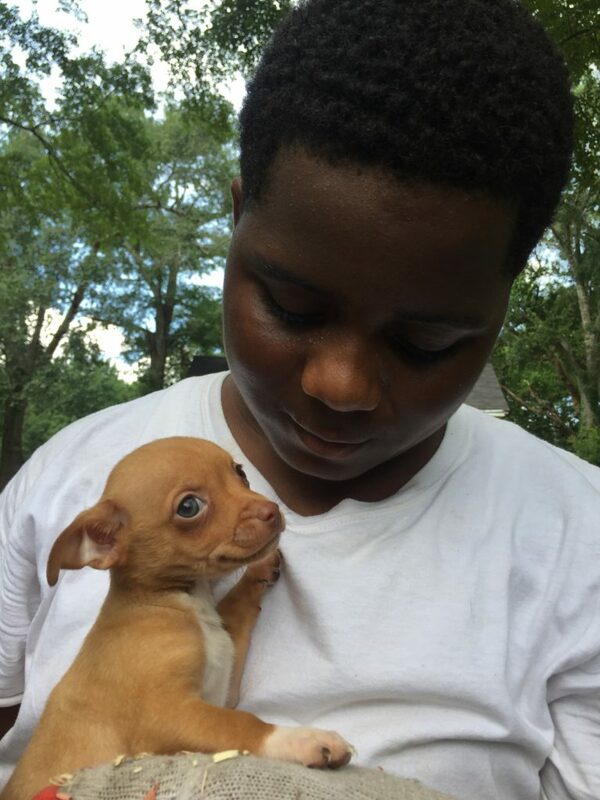 W-Underdog’s mission is to provide city kids an outlet where they can avoid gangs while rescuing animals in need. Youth in the community are welcomed into the W-Underdogs family where they’re mentored and trained in animal welfare. They learn the proper ways to care for dogs and cats, and they help rehabilitate strays they rescue from the streets. Once the dogs are rescued and healthy, the kids also take charge in training. 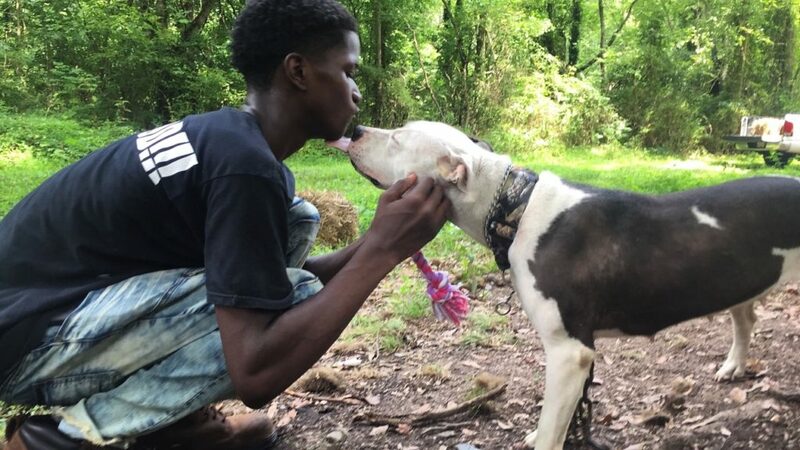 They teach formerly stray and feral animals what it takes to live in a home, and their efforts are rewarded once those dogs are eventually adopted. So far, W-Underdogs has saved over 300 dogs. There are dogs that lived their lives on rusted chains and others that learned to survive by fighting and foraging. Regardless of circumstance, the kids and teenagers who make up W-Underdogs never give up. They sacrifice their evenings, weekends, and even their sleep to make sure the city’s dogs have people they can trust. Grace leads her organization with passion for both the kids and the animals. She shows everyone what’s possible when you face a problem with compassion and commitment. Everyone involved in W-Underdogs works tirelessly to save as many animals as they can, and they extend their reach in other ways besides rescue. The W-Underdog’s Dog House Project is providing needy dogs with safety and shelter. The kids collect recycled materials from their neighborhoods and build custom dog houses. The dog houses are donated to families that love their dogs but need help caring for them. Those houses often come with free bags of dog food. These kids do whatever it takes to improve the lives of animals. While they’re busy rescuing and rehabilitating the city’s dogs, the W-Underdogs are also working for themselves. Grace offers all of her W-Underdog kids an environment where they can learn, grow, and be a part of something special. The kids learn pet-related skills that will some day help them get jobs as veterinarians, vet techs, dog trainers, and dog groomers. Along with those life skills, they learn even more important lessons. They learn about compassion, responsibility, and respect. By doing something meaningful for animals, they learn to look beyond their present circumstances. They gain hope for a better future and achieve the motivation needed to get them there. By helping animals, they help their community, and most importantly, they help themselves. The Petco Foundation and world-renowned pet behavior expert Victoria Stilwell have named Grace one of their six Unsung Heroes. These Unsung Heroes are people who dedicate their lives to saving animals and making their communities better. Grace and her W-Underdogs are inspiring people around the world to practice compassion toward animals, and The Petco Foundation wants to make sure they have what they need to keep going. They awarded Grace and her W-Underdogs a $10,000 grant so they can build more dog houses, adopt out more pets, and save more lives. Follow W-Underdogs on Facebook and Instagram to learn more about them. You can also donate to their cause through their website.